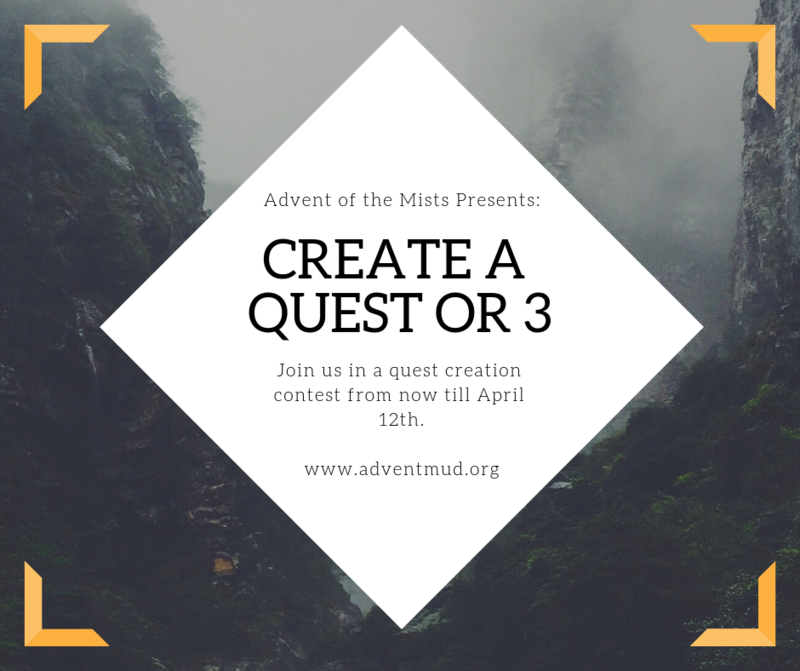 Advent of the Mists > Contests > New Contest: Create a Quest! The new quest code is in for the builders to start utilizing! So we’re about to put yalls creativity to work! We’re looking for quest ideas, and we’re turning it into a contest! Submit at least 3 quest ideas, and we’ll choose 3 quests to win this prize. The top 3 quest submission will be chosen by the staff and will receive an award of 5RPP, 50 gold, and 500 passive points to up their skills. These quests (along with many of the other submissions) will be utilized in game. Your quest can be a one-off quest or daily quest. Quests can be submitted from now until April 12th at 11:59pm EST. Include what objects may be associated with this quest, the prize for completing the quests, and if you’d see it on any particular mobs (if no preference, just note that :)). 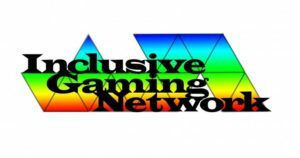 As always, if there are any questions, feel free to send a note to IMM in game, or send a message via the contact form. You can send us a tell in game as well, but we may miss those occasionally.